Better thermals and 8th-generation Intel CPUs make a difference. The HP Spectre x360 13 is already one of the most popular 360-degree convertible laptops, and it’s about to get faster and cooler, thanks in part to Intel’s latest 8th-generation Core CPUs. Announced Wednesday, the refreshed Spectre x360 13 also offers greatly improved thermals and other nice tweaks. The HP Spectre x360 13 gets a refresh with 8th-gen Intel Core CPUs and better thermal management. 13.3-inch backlit 4K (3840x2160) IPS touch display with Corning Gorilla Glass NBT and a very thin bezel. There’s also a FHD (1920x1080) display option that costs less and offers Sure View, a security feature that lets you obscure the display image from the sides so other people can’t peek. 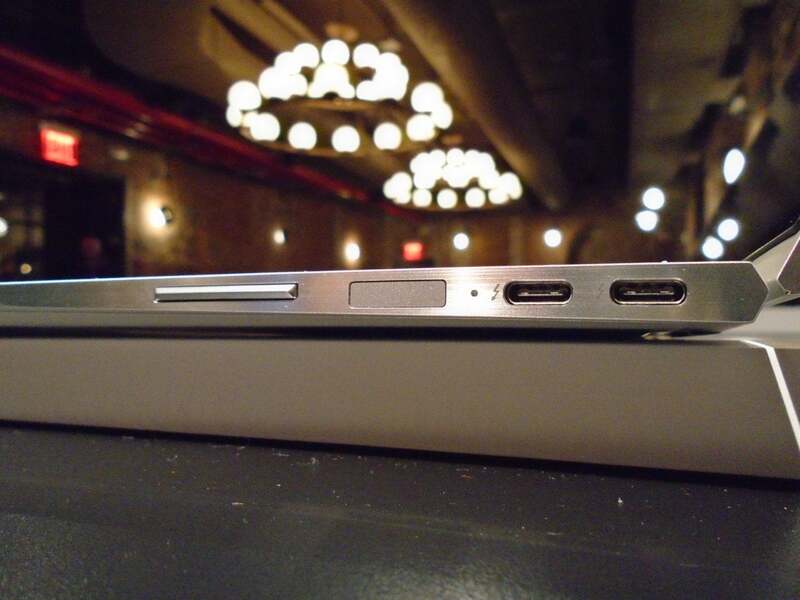 The right side of the HP Spectre x360 13 has two Thunderbolt/USB-C ports and the fingerprint reader. There’s a fingerprint reader on the right side, which HP says is a better position for using in any of the Spectre x360 13’s modes. 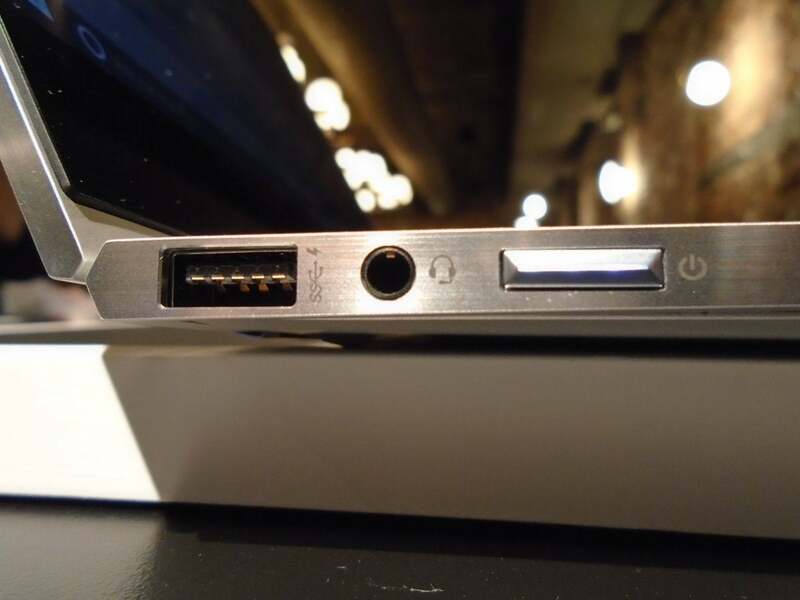 The left side of the HP Spectre x360 13 includes a USB-A port and the audio jack. Chassis material and colors: CNC machined aluminum in Natural Silver, or Dark Ash Silver with copper accents. 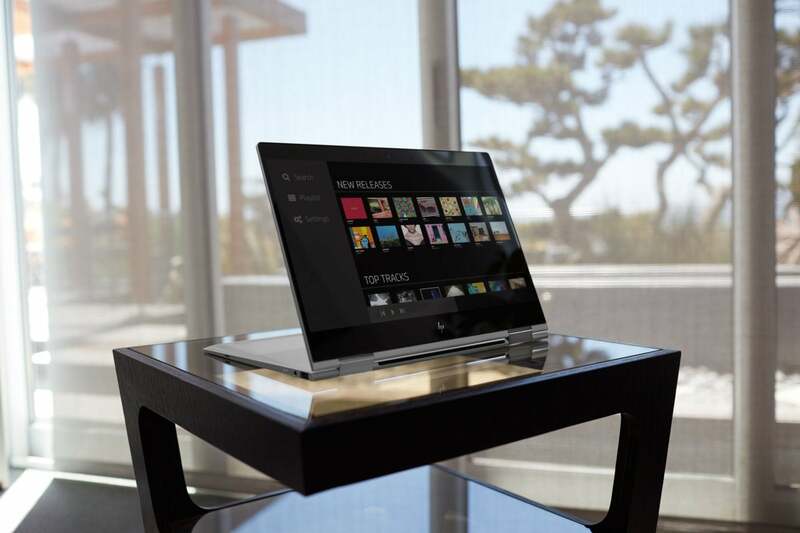 HP claims up to 10 hours from the 4K-equipped ae013dx, depending on use case. 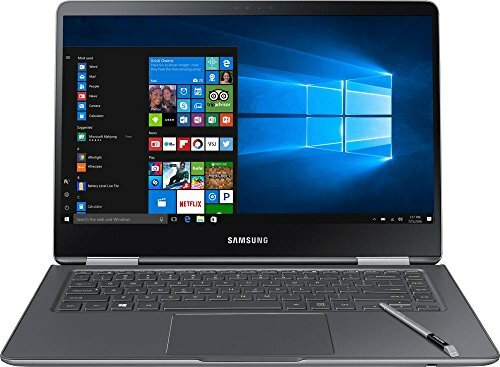 The top battery life of 16.75 hours is claimed with a lower-end configuration: An Intel Core i5-8250U with Intel Graphics 620, 8GB of RAM, a 256GB SSD, and FHD display. HP’s Sleep and Charge feature lets you recharge the battery up to 90% within 90 minutes if you charge when the laptop is shut off. When the battery hits 90%, the charging slows to regular speed. HP moved the Spectre x360 13's vents from the side panel to the hinge area, to avoid exhausting hot air onto user's hands. 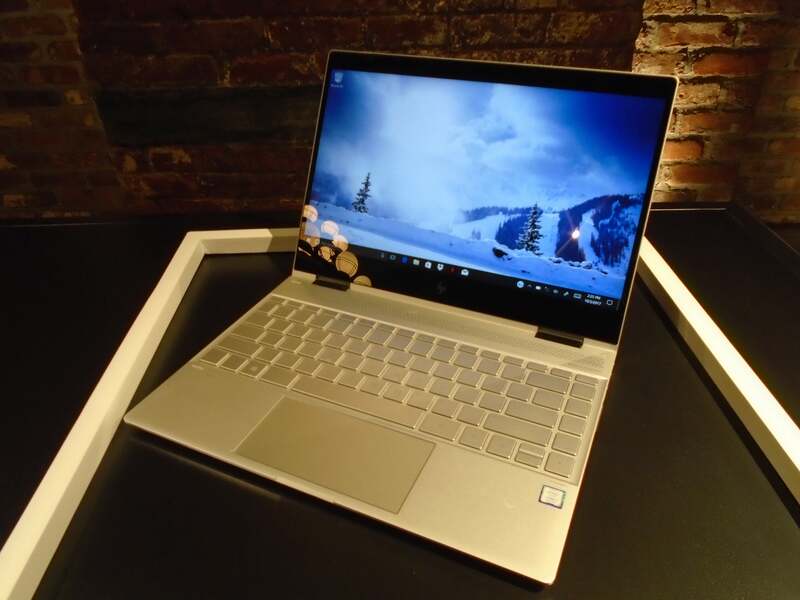 HP made some big changes to the thermal design of the new Spectre x360 13. Most noticeably, the vents move from the side to the hinge area to avoid heating your hands. HP representatives also said fan noise was a common complaint—users called it distracting and said it detracted from the audio experience. HP built in a thermal sensor combined with a hyperbaric chamber. The sensor takes an average heat reading for the system rather than focusing on the CPU. As a result, HP claims, the fan should run less frequently. You may also hear big improvements in the audio. HP added a discrete amplifier and increased the number of speakers from two to four, allowing better audio in any mode. Among 360-degree laptops we’ve reviewed recently, we’ve experienced impressive sound from the Lenovo Yoga 720, and the opposite from Samsung’s Notebook 9 Pro. The Spectre x360 has room to compete. The HP Spectre x360 13’s update is coming at an important time. Intel’s 8th-generation Core CPUs are appearing in a new crop of laptops (including the Spectre x360 13) that promise to be thinner, more powerful and more battery-efficient, removing many of the form factor's limitations. 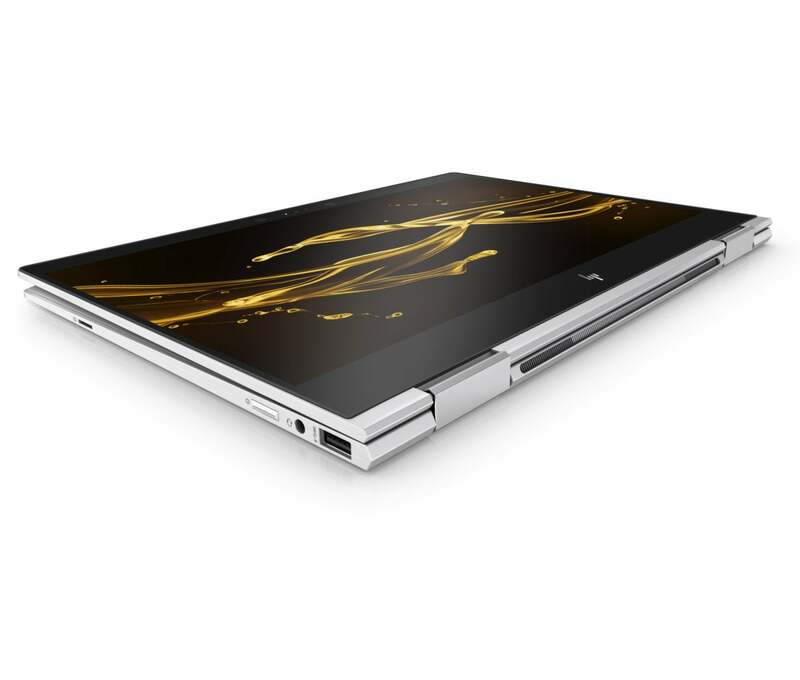 The Spectre x360 13 also has more 360-degree competition than it used to, so it has to keep evolving to stay on top. We’ll let you know what we find out if we’re able to test this model.